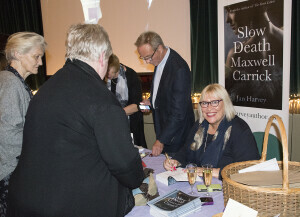 Local author, Jan Harvey, has used Shipton under Wychwood as the backdrop for her new novel, The Slow Death of Maxwell Carrick. Borrowing heavily from the topography of the Wychwoods and drawing on the myths and legends of the village, Jan has invented a time-split story that, just like her first book, The Seven Letters, links the Cotswolds to Paris across a span of seventy years. So who is Maxwell Carrick? Anyone we know? Jan says no, though in her mind he does bear more than a passing resemblance to a certain Captain Poldark! “The funny thing is, those people who read my novel for me ahead of publication all came back to me with vastly different images of my lead character. 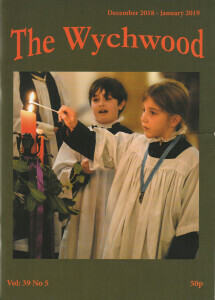 That’s the wonderful thing about books – they are a unique adventure for each reader,” she says. Of course, an author of fiction does not have to relate the actual facts and Jan has taken license as all writers do. There is a little bending of the truth here and there in the book. The Slow Death of Maxwell Carrick was published on 29 October 2018 and is available on all platforms. However, Jan has copies to sell; these can be bought through her website www.janharveyauthor.com, by email janharveyauthor@btinternet.com or, alternatively, if you see her out in the village walking Byron, stop her and buy one!